NORTHERN LIGHTINGThe world of design and artistic lighting has one more star now: its name is Northern Lighting.Northern Lighting is one of the most innovative businesses in the lighting sector, whose main objective is to decorate the house with class and innovation, combining the simplicity typical of northern European countries with the use of top-quality materials. Everything to get an object of the highest quality, appreciated for the design and the excellent workmanship.Northern Lighting was born in Oslo, Norway, in 2010, and now it stands out for its simple but at the same time very attractive style.Thanks to the fruitful collaboration with designers from all over the world, Northern Lighting has created a wonderful blend of the typical of northern countries efficiency and cosmopolitan design, creating not only furnishings but real works of modern art.Today Northern Lighting is present in every corner of the world as a leading brand on the market: the quality of materials, the innovation in lines and the tendency to excel are the qualities that have brought the Norwegian brand to be a point of reference for the most important interior designers.The creative think-tank Northern Lighting constantly produces new and original ideas but always keeping in mind the traditional principles of design. Here is the peculiarity of Northern Lighting furnishings: the continuous pursuit of perfection through the study and reinterpretation of the classics to create a new generation of products that maintain a strong classic imprint. Thanks to these characteristics, all Northern Lighting products are ideal to fit in any architectural context, from a retro style to a futuristic one. Thanks to these principles, Northern Lighting has the ability to offer to its clients a wide range of lighting products to meet every kind of need: floor lamps, appliques, pendant lights, table lamps and elegant candle holders. Choosing the right lighting for your home becomes now a requirement to make it not only warmer and more comfortable, but also larger and more harmonious. Lighting is a very important factor in home furnishing, which is why Northern Lighting devotes much care and attention to its products, to give us a perfect home.The creativity of Northern Lighting is born from the philosophy that is the base of this important Norwegian company: the constant search for innovation.The same founders of the company do not hide the great open-mindedness with which they seek the most promising designers of the planet, such as the Norwegian artist Atle Tveit.The constant experimentation of ideas, concepts and lines matches a continuous research regarding materials and innovative techniques. And these are the results arising from these extraordinary collaborations, so much so that thanks to the great creative intuition of the designers working for Northern Lighting, the Norwegian company can boast the recognition of numerous awards, such as the Award for Design Excellence obtained thanks to Diva Lamp in 2010.Northern Lighting believes in the talent of young designers and it is ready to bet every day on their extraordinary ideas in order to offer its customers and the whole world not only beautiful but also very durable and resistant objects.Even if Northern Lighting recognizes the great talent of many designers, this brand also knows that at the same time many talented others will never have the opportunity to see their own work becoming true. For this reason the brand adopts an &quot;open-door&quot; policy, meaning a philosophy of work through which the Norwegian company evaluates each year over a thousand ideas connected to the lighting world. This will not only allow to reward the talents of many designers that still haven't had the possibility to express themselves, but it is also consistent with the company's faith in the inspiration that the world can offer.Create and inspire are definitely the goals that feed and encourage the work of Northern Lighting.The works created by Northern Lighting and its talented designers occupy prominent positions in some of the most important and prestigious venues of the world, and of course in many private homes.First of all there is of course the country that gave birth to Northern Lighting, Norway, but it is amazing to see how in just ten years this brand has earned love and appreciation beyond the Norwegian borders: Denmark, England, France, Spain, up to create a distribution network that covers all five continents. A further recognition of the importance and beauty of these great design works. For example, visiting Erdweg, a very cured town just outside Monaco of Bavaria, in Germany, you may bump into the works by Northern Lighting in the city's cultural center, the Wirtshaus Am Erdweg.Here there are the Evergreen &amp; Unika lamps, which are a great example of how opposites attract each other. In an extremely warm and welcoming location, furnished almost entirely with light-coloured natural wood, there are modern lamps hanging from the ceiling with peculiar materials and forms. However, the lamps produced by the Scandinavian brand perfectly match with a typical Bavarian atmosphere.The most striking example is the use of Scheisse lamps at the Parisian restaurant La Gare, in France.Here, thanks to a unique lighting and a truly original location (an abandoned train station) visitors to this charming restaurant will be immersed in a welcoming atmosphere that is at the same time extremely charming.We all love to live in a beautiful home, carefully decorated and where an intimate and relaxed atmosphere reigns. The key factor to obtain it is the attention to every detail, from the choice of furnishings to the lights. Northern Lighting is the right answer for those who love their home and love to bring into their lives the beauty, uniqueness and refinement of a truly extraordinary collection, designed by the most promising designers of the world. The world of design and artistic lighting has one more star now: its name is Northern Lighting. Northern Lighting is one of the most innovative businesses in the lighting sector, whose main objective is to decorate the house with class and innovation, combining the simplicity typical of northern European countries with the use of top-quality materials. Everything to get an object of the highest quality, appreciated for the design and the excellent workmanship. Northern Lighting was born in Oslo, Norway, in 2010, and now it stands out for its simple but at the same time very attractive style. Thanks to the fruitful collaboration with designers from all over the world, Northern Lighting has created a wonderful blend of the typical of northern countries efficiency and cosmopolitan design, creating not only furnishings but real works of modern art. Today Northern Lighting is present in every corner of the world as a leading brand on the market: the quality of materials, the innovation in lines and the tendency to excel are the qualities that have brought the Norwegian brand to be a point of reference for the most important interior designers. 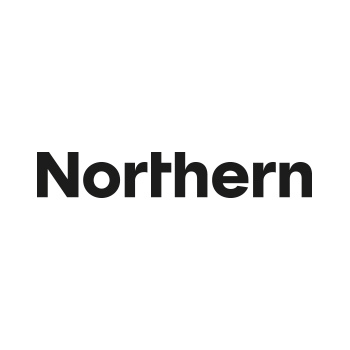 The creative think-tank Northern Lighting constantly produces new and original ideas but always keeping in mind the traditional principles of design. Here is the peculiarity of Northern Lighting furnishings: the continuous pursuit of perfection through the study and reinterpretation of the classics to create a new generation of products that maintain a strong classic imprint. Thanks to these characteristics, all Northern Lighting products are ideal to fit in any architectural context, from a retro style to a futuristic one. Thanks to these principles, Northern Lighting has the ability to offer to its clients a wide range of lighting products to meet every kind of need: floor lamps, appliques, pendant lights, table lamps and elegant candle holders. Choosing the right lighting for your home becomes now a requirement to make it not only warmer and more comfortable, but also larger and more harmonious. Lighting is a very important factor in home furnishing, which is why Northern Lighting devotes much care and attention to its products, to give us a perfect home. The creativity of Northern Lighting is born from the philosophy that is the base of this important Norwegian company: the constant search for innovation. The same founders of the company do not hide the great open-mindedness with which they seek the most promising designers of the planet, such as the Norwegian artist Atle Tveit. The constant experimentation of ideas, concepts and lines matches a continuous research regarding materials and innovative techniques. And these are the results arising from these extraordinary collaborations, so much so that thanks to the great creative intuition of the designers working for Northern Lighting, the Norwegian company can boast the recognition of numerous awards, such as the Award for Design Excellence obtained thanks to Diva Lamp in 2010. Northern Lighting believes in the talent of young designers and it is ready to bet every day on their extraordinary ideas in order to offer its customers and the whole world not only beautiful but also very durable and resistant objects. Even if Northern Lighting recognizes the great talent of many designers, this brand also knows that at the same time many talented others will never have the opportunity to see their own work becoming true. For this reason the brand adopts an "open-door" policy, meaning a philosophy of work through which the Norwegian company evaluates each year over a thousand ideas connected to the lighting world. This will not only allow to reward the talents of many designers that still haven't had the possibility to express themselves, but it is also consistent with the company's faith in the inspiration that the world can offer. Create and inspire are definitely the goals that feed and encourage the work of Northern Lighting. The works created by Northern Lighting and its talented designers occupy prominent positions in some of the most important and prestigious venues of the world, and of course in many private homes. First of all there is of course the country that gave birth to Northern Lighting, Norway, but it is amazing to see how in just ten years this brand has earned love and appreciation beyond the Norwegian borders: Denmark, England, France, Spain, up to create a distribution network that covers all five continents. A further recognition of the importance and beauty of these great design works. For example, visiting Erdweg, a very cured town just outside Monaco of Bavaria, in Germany, you may bump into the works by Northern Lighting in the city's cultural center, the Wirtshaus Am Erdweg. Here there are the Evergreen & Unika lamps, which are a great example of how opposites attract each other. In an extremely warm and welcoming location, furnished almost entirely with light-coloured natural wood, there are modern lamps hanging from the ceiling with peculiar materials and forms. However, the lamps produced by the Scandinavian brand perfectly match with a typical Bavarian atmosphere. The most striking example is the use of Scheisse lamps at the Parisian restaurant La Gare, in France. Here, thanks to a unique lighting and a truly original location (an abandoned train station) visitors to this charming restaurant will be immersed in a welcoming atmosphere that is at the same time extremely charming. We all love to live in a beautiful home, carefully decorated and where an intimate and relaxed atmosphere reigns. The key factor to obtain it is the attention to every detail, from the choice of furnishings to the lights. Northern Lighting is the right answer for those who love their home and love to bring into their lives the beauty, uniqueness and refinement of a truly extraordinary collection, designed by the most promising designers of the world.